Hyssnaleden is a 40km looping trail about an hour outside of Göteborg by car or bus. 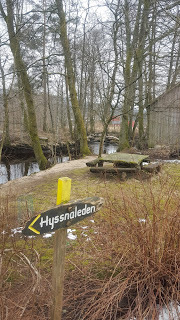 The trail is named after the small village that it begins/ends in, Hyssna. 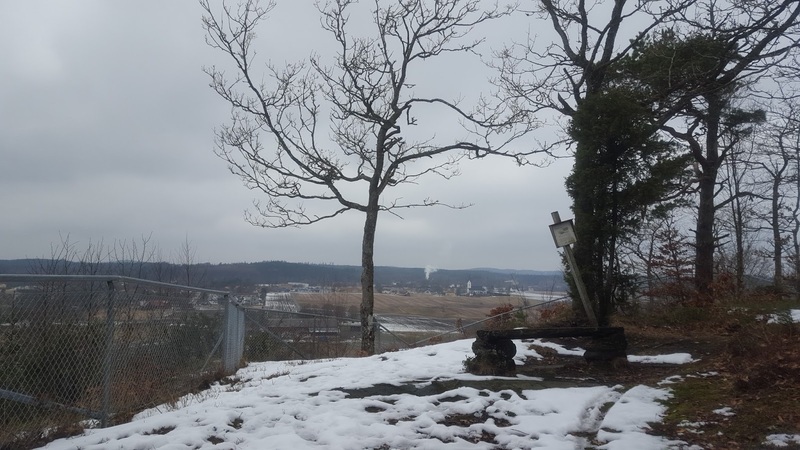 I had the chance to hike the trail--going east and returning from the west, or turning right at the crossroads--over a weekend in March of 2016 and loved it. 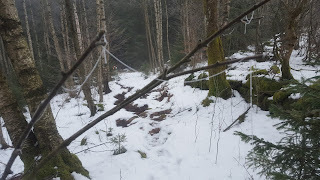 I learned about the trail from a hot tip from a reader, which was very cool. Thanks again Adam! 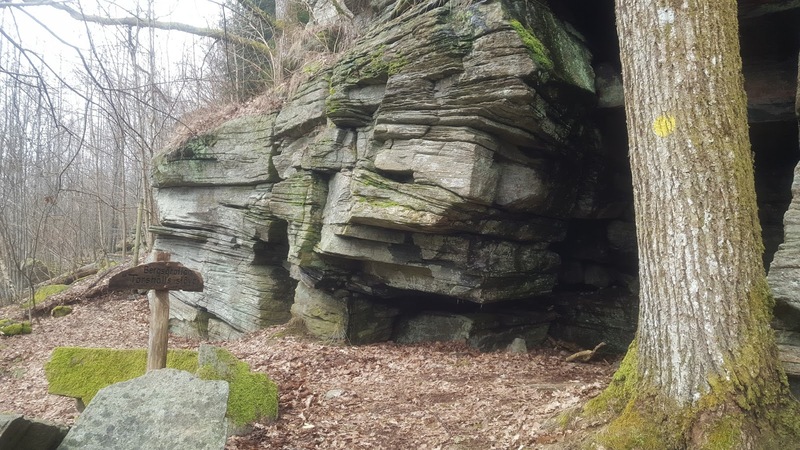 This is a great entry-level trail for inexperienced or beginners, yet it has a lot of things that even a veteran hiker can appreciate. 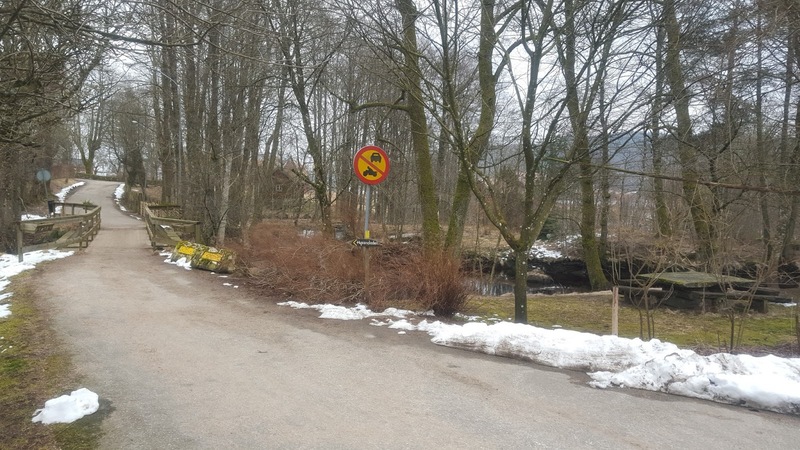 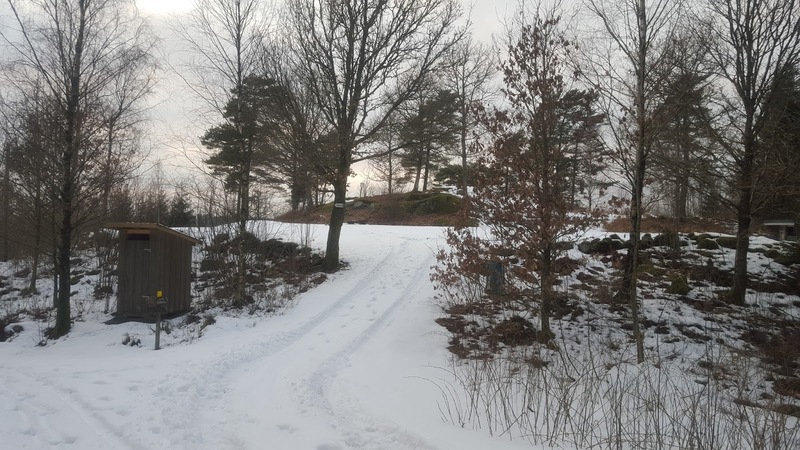 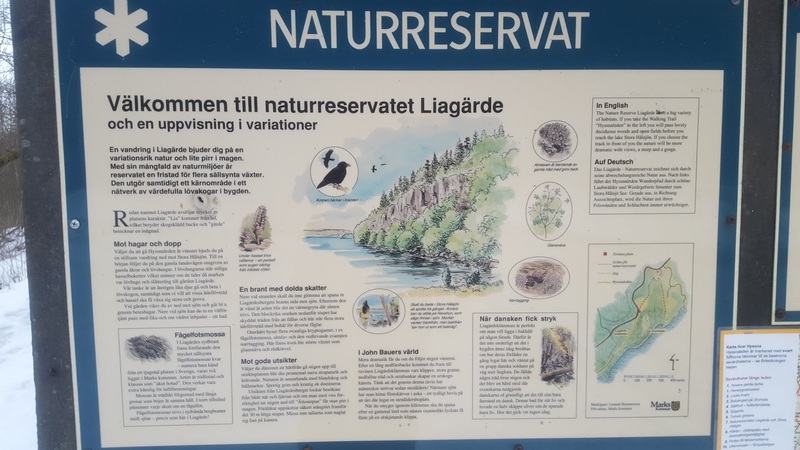 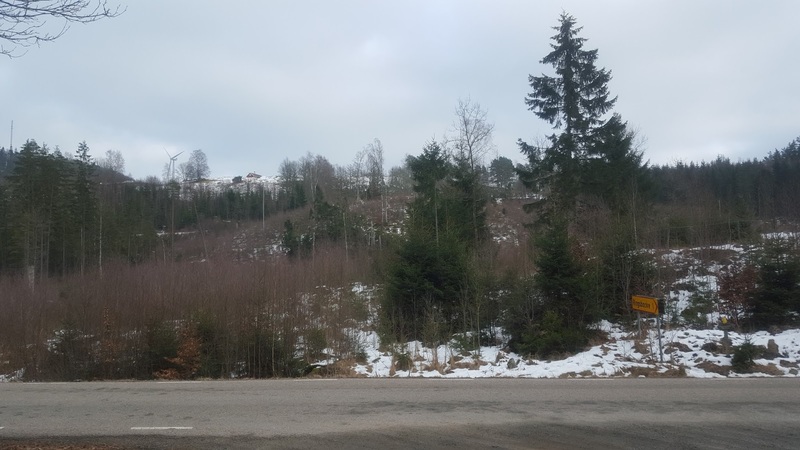 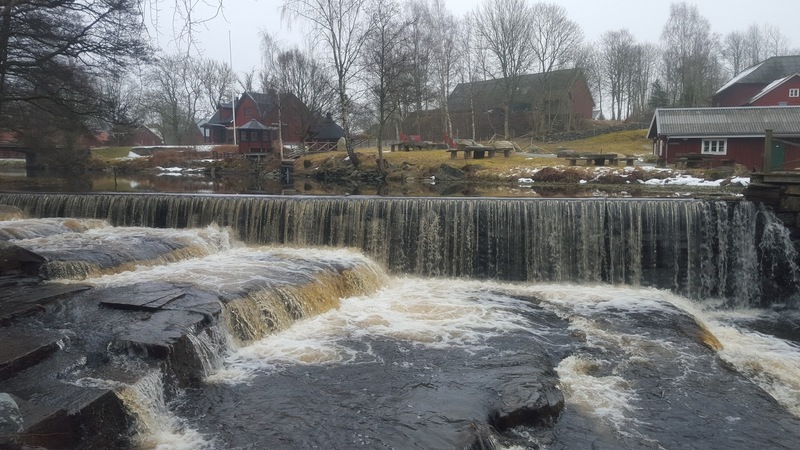 This is also an excellent option for any locals living in or around the Göteborg area, as it is easily accessible by bus, with the trail only around 500m away from the main Hyssna bus stop (Hyssna handel). This would also be a great trail for any thru-hikers, that have say hiked Bohusleden or the E1 trails and are still itching for more. 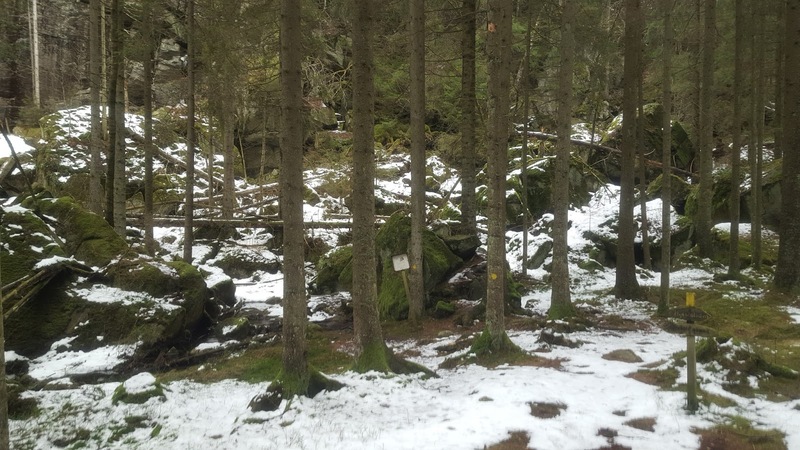 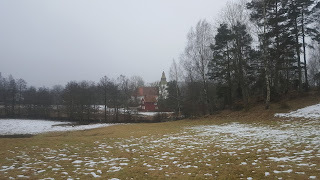 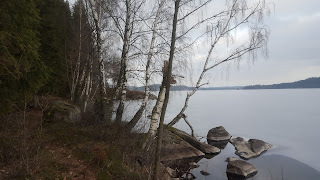 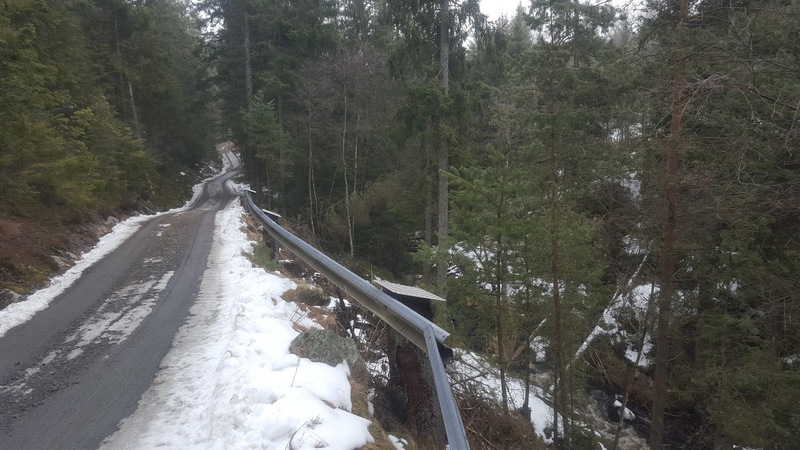 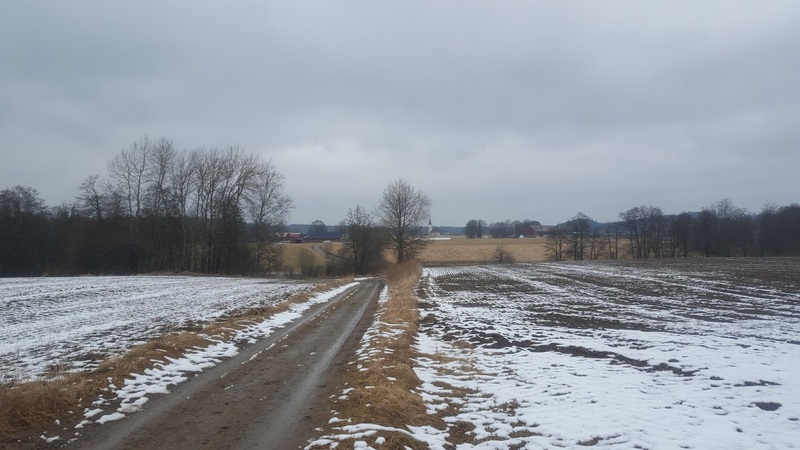 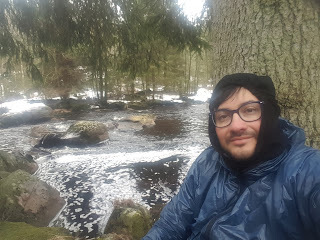 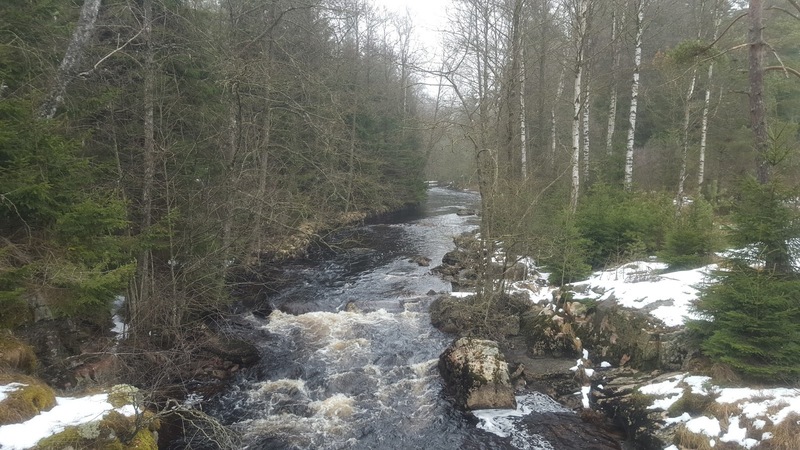 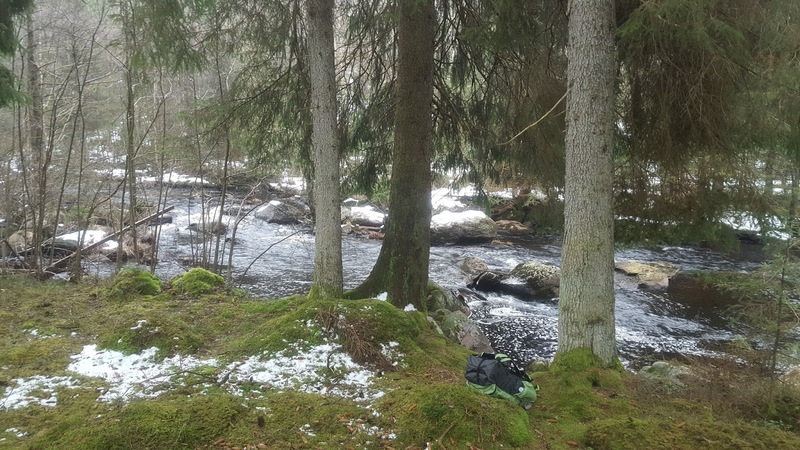 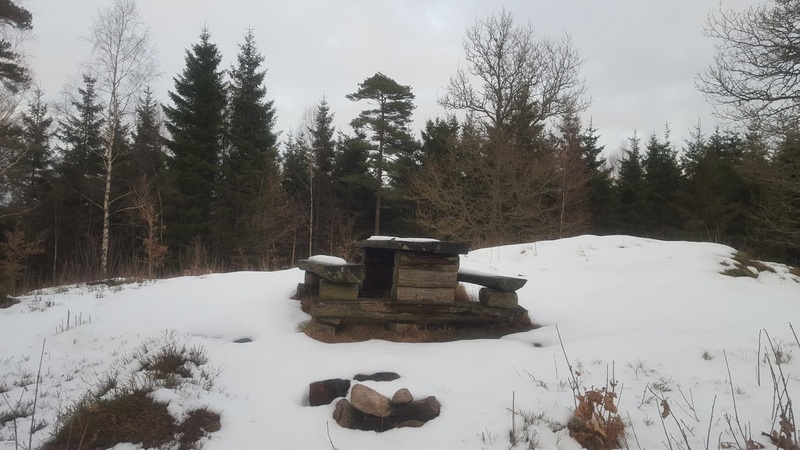 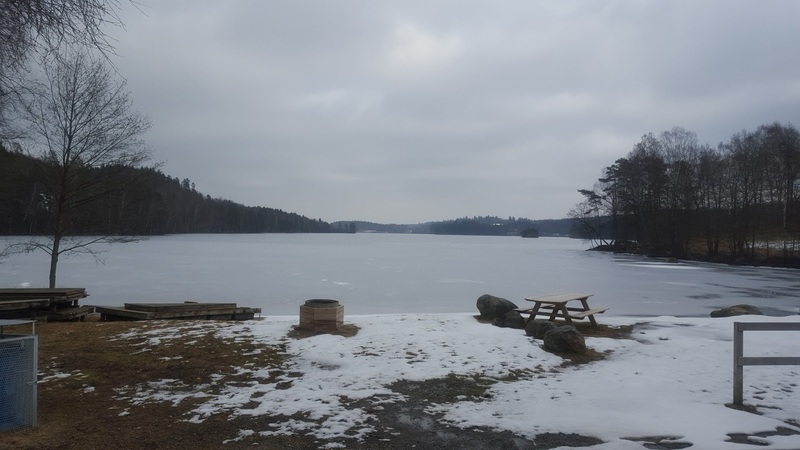 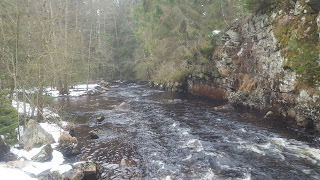 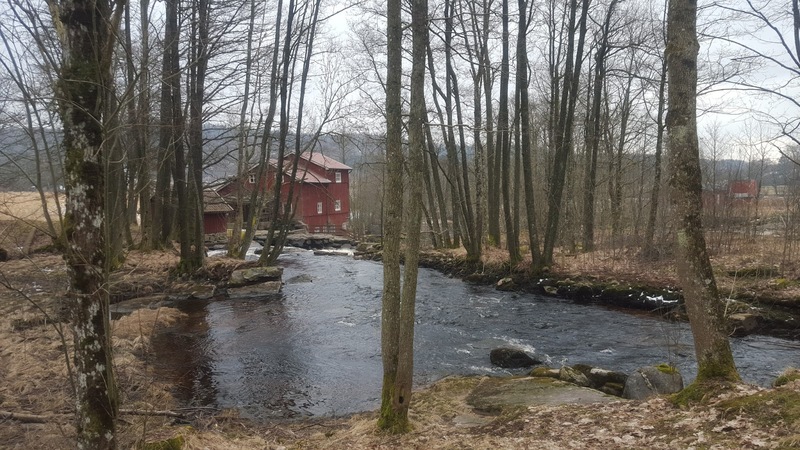 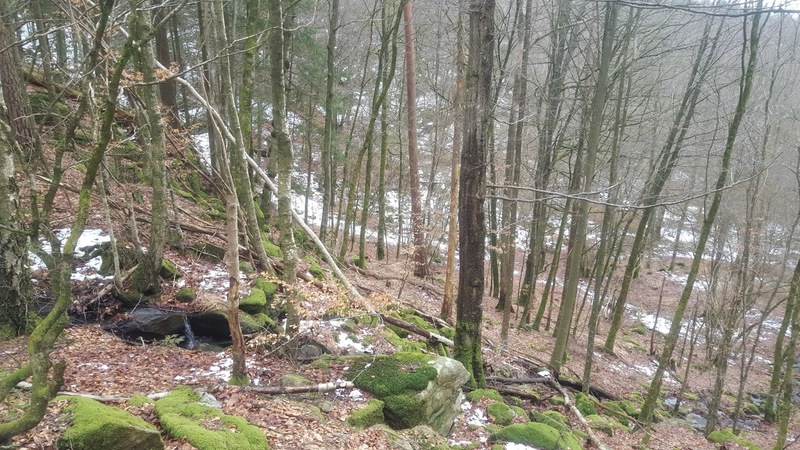 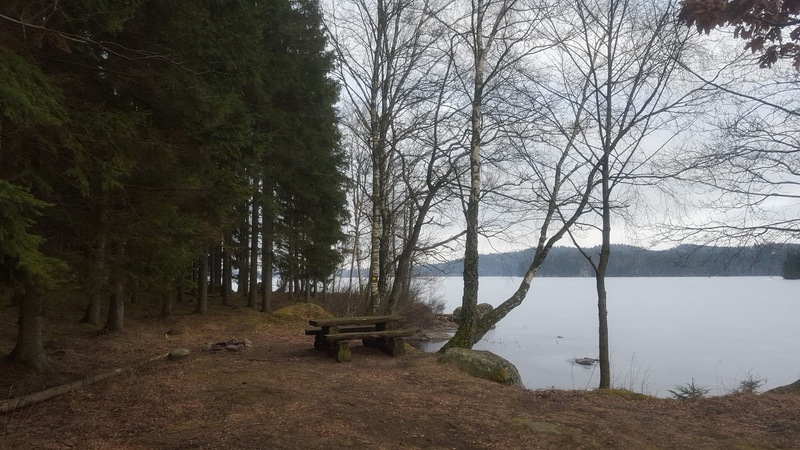 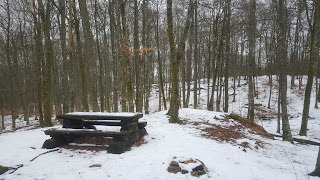 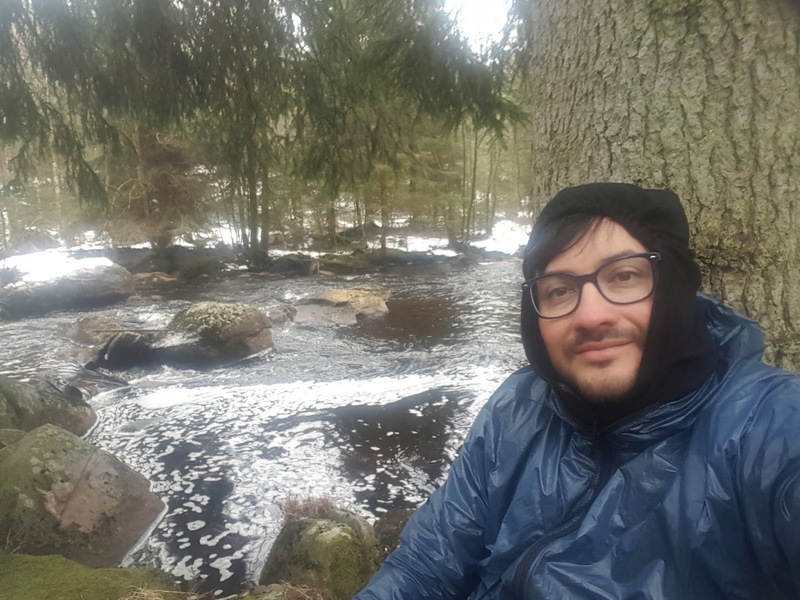 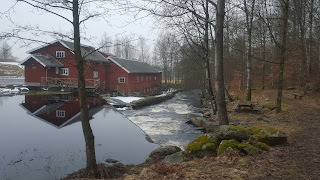 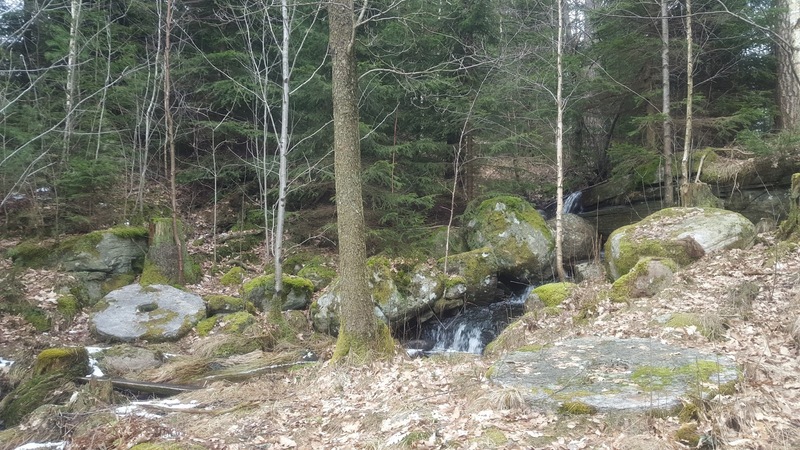 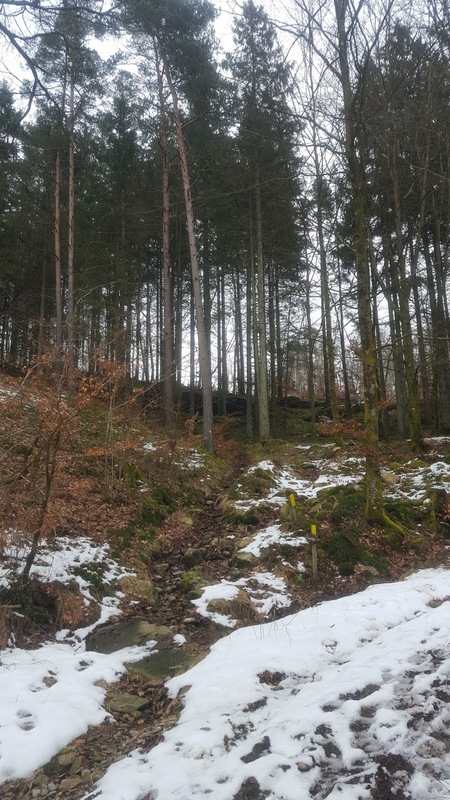 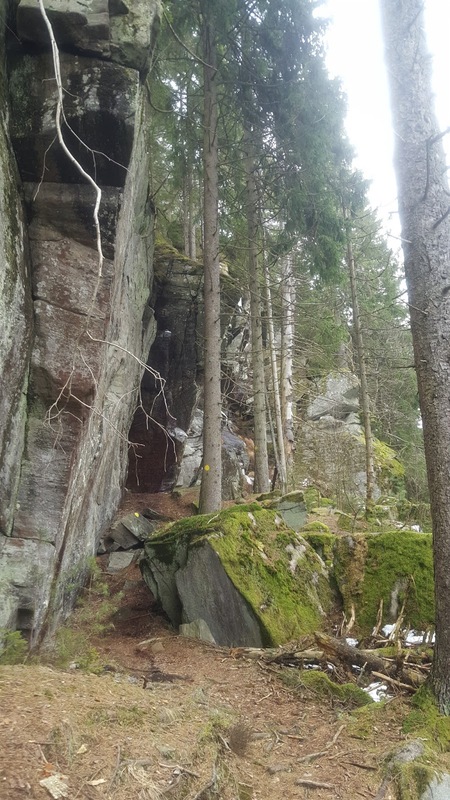 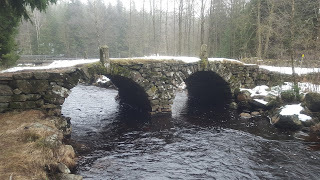 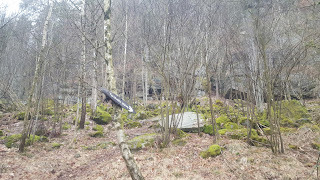 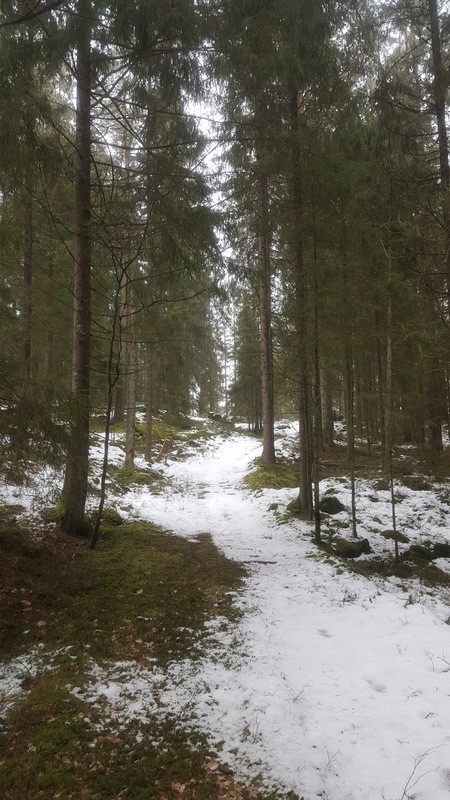 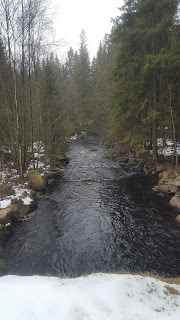 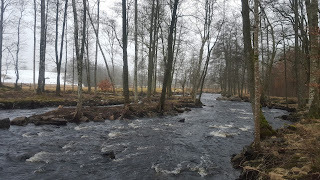 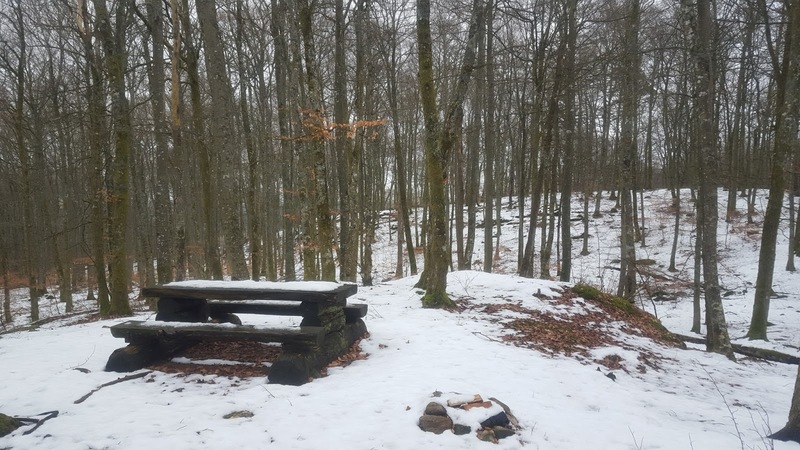 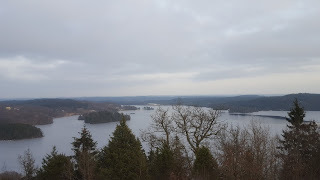 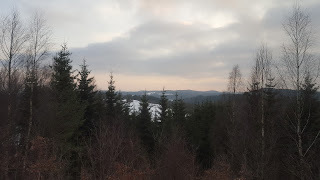 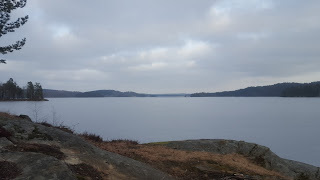 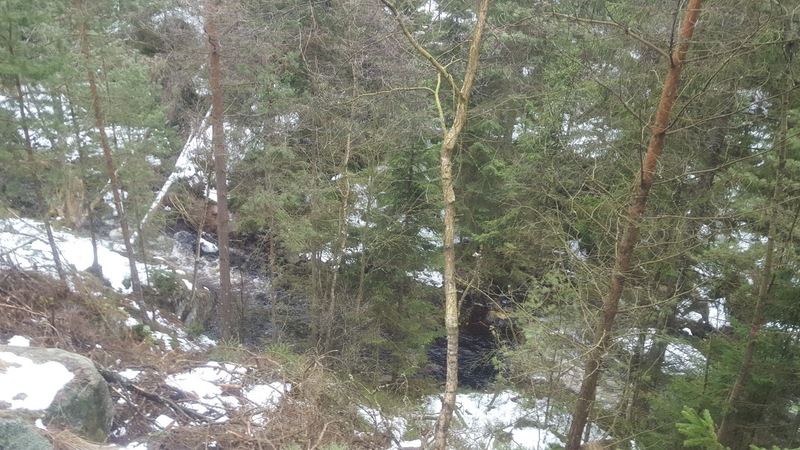 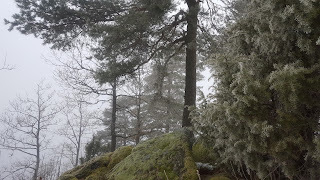 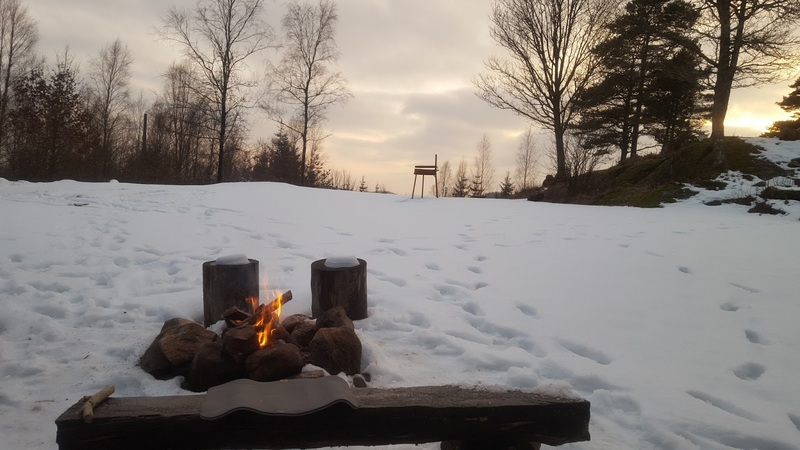 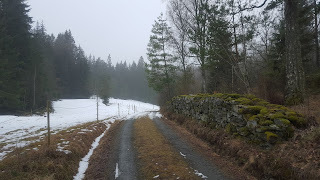 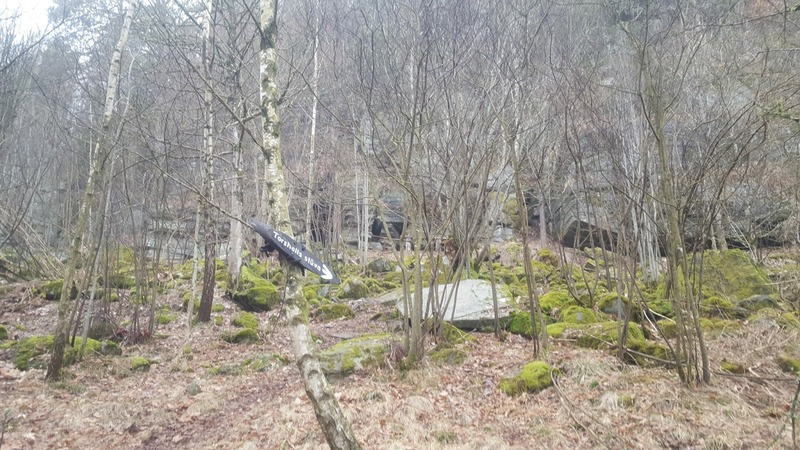 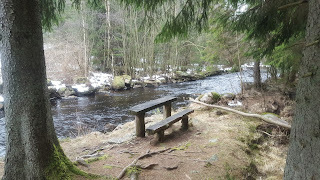 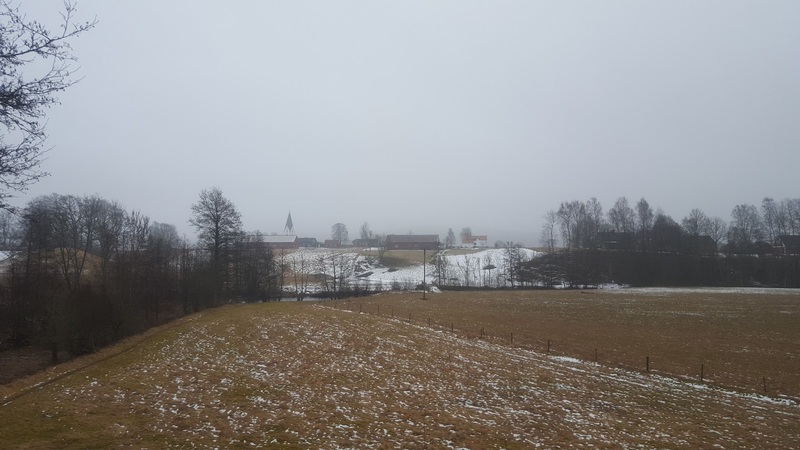 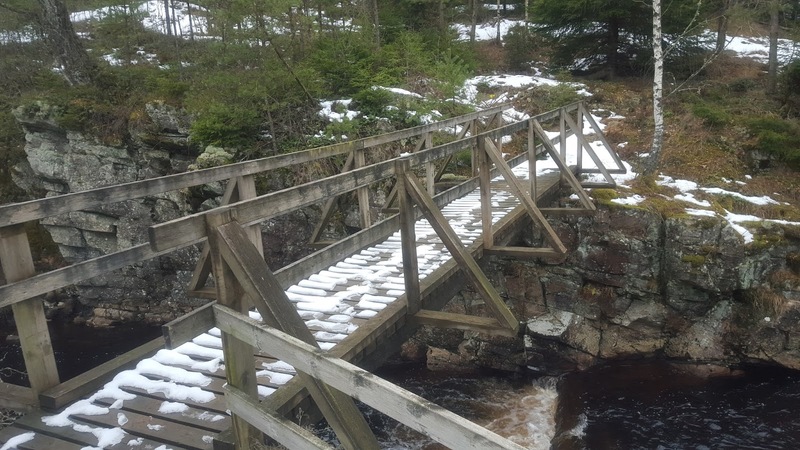 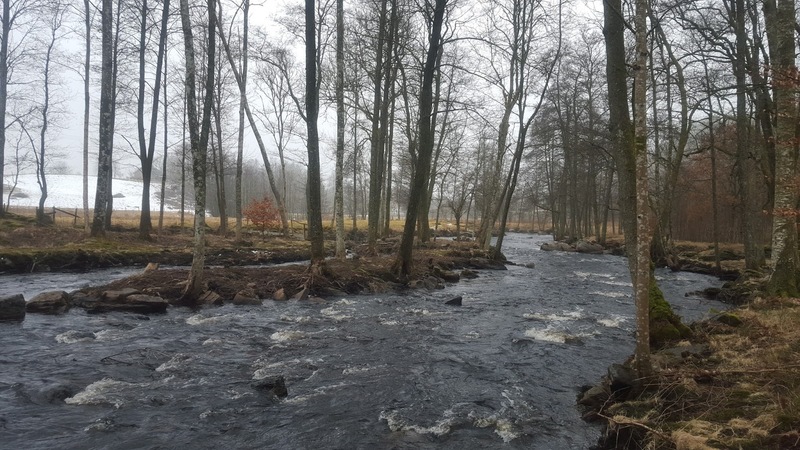 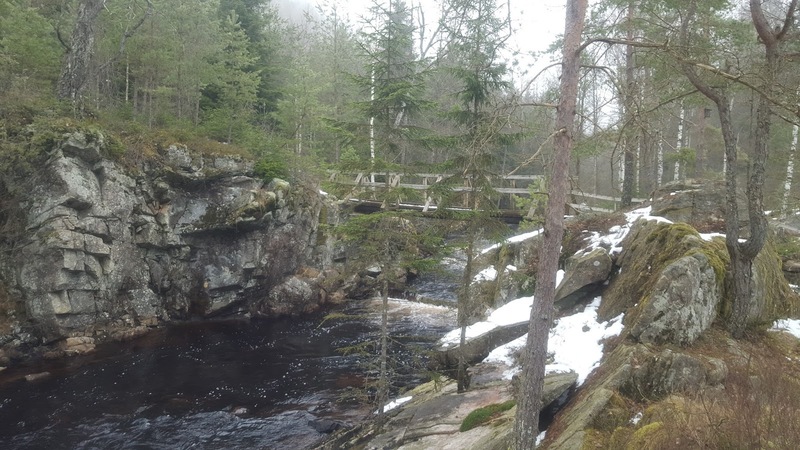 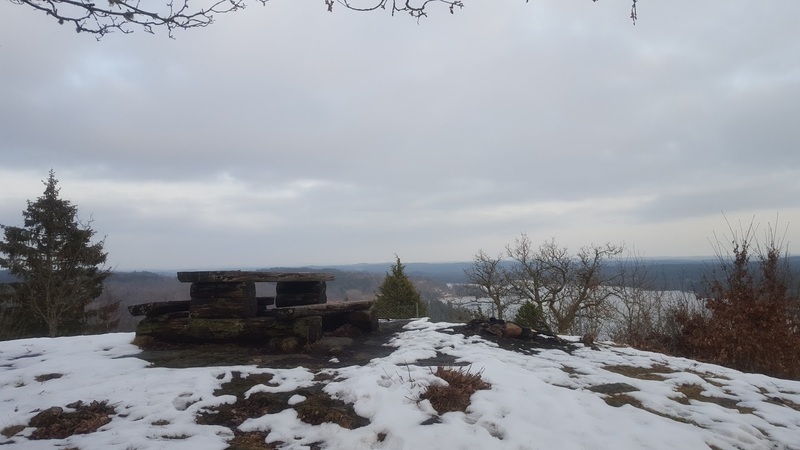 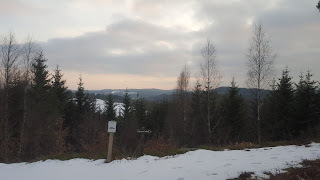 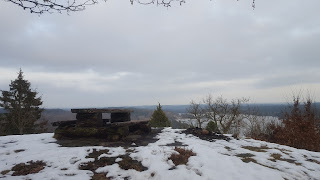 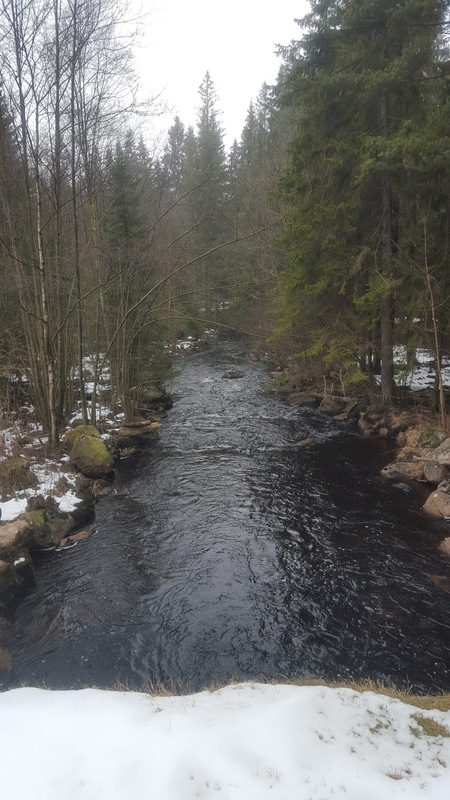 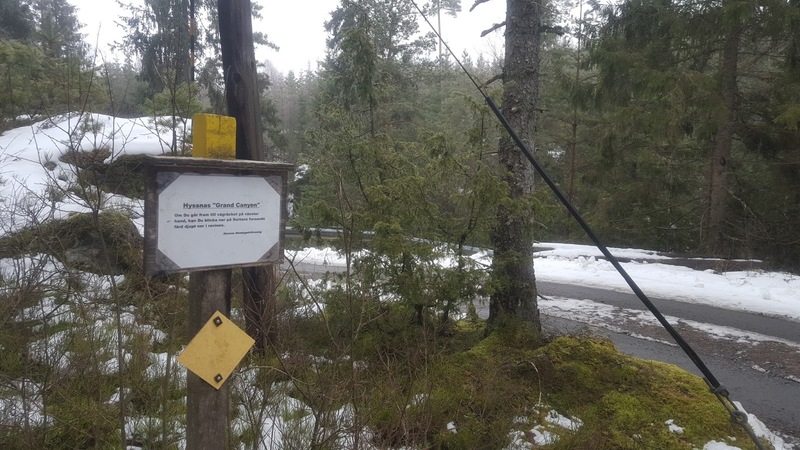 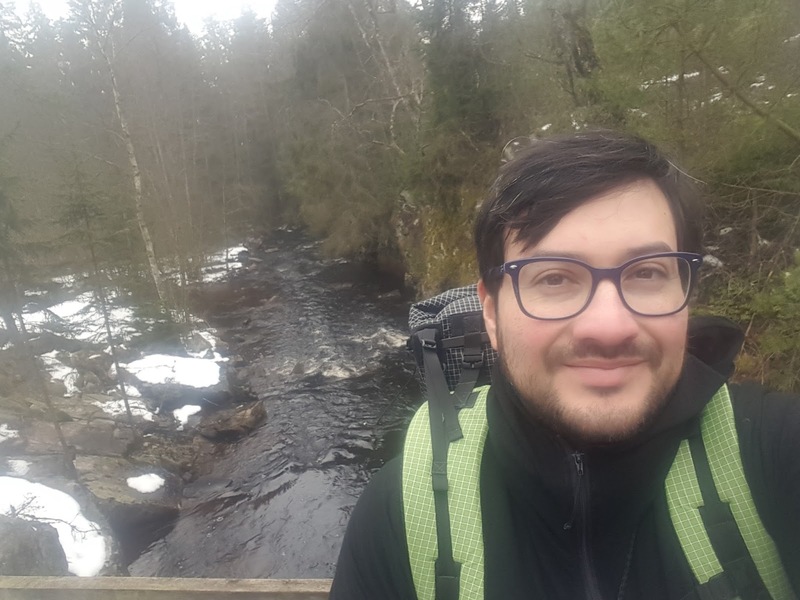 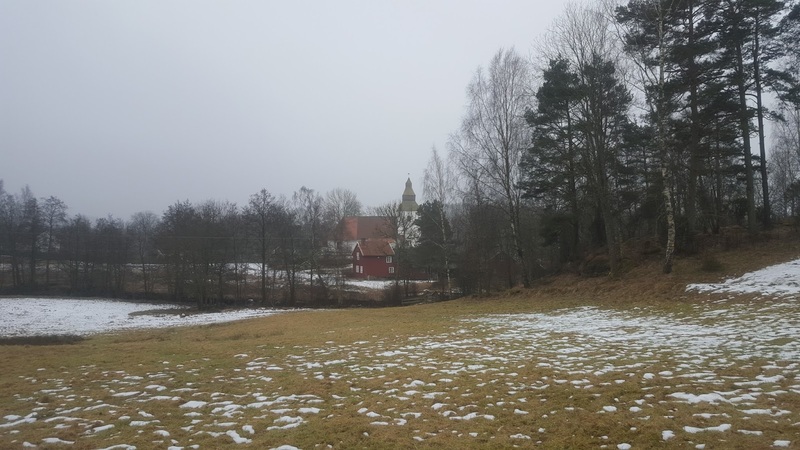 Or maybe you are spending some extra time in the Göteborg area for whatever reason, and want to take a quick and easy overnight trip or even day hike of part of the way, then this is the trail for you. There is even a supermarket on the way to the trail where you can stock up on food and/or fill up your water bottles. 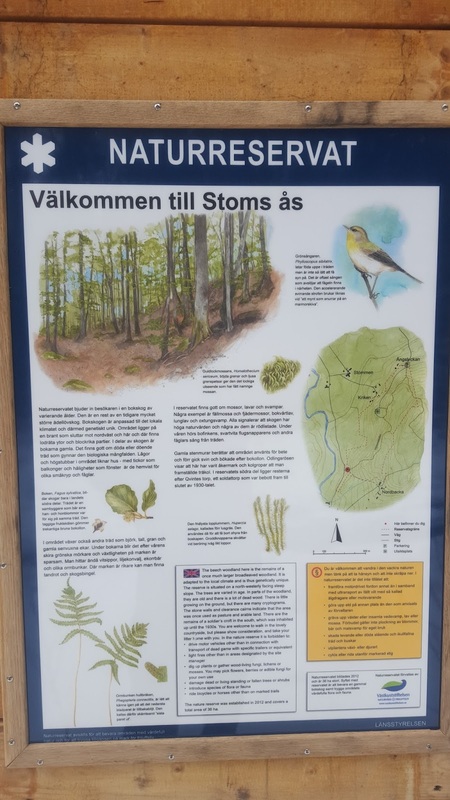 Here is the official website (in Swedish), and here is a PDF map of the trail. This trip report will be pretty straight forward, so I will do something a bit different than I normally do when I write my trail guides. I will give all my commentary first followed by all of my favorite and/or useful pictures of the trail. 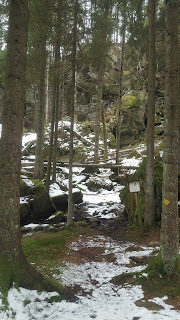 This trail was another bipolar type of trail, with highs and lows rather than consistently being good or bad for long stretches of trail. 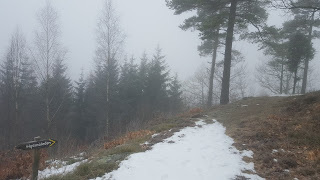 But the highs outweighed the lows in number and quality that in the end made me forget all about my few complaints of the trail as I sat contented on the bus ride home. But let's get the lows out of the way first. There are a few boring, and while I was there quite muddy dirt roads to deal with through farms and rural areas. 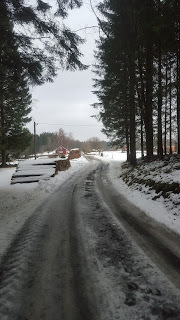 There are also a few short asphalt walks too. I always feel uncomfortable around farms because I've been attacked (but thankfully not bitten) by 3 different loose farm dogs on trails in the past few years. No dog trouble this trip, but I did notice plenty of dogs and even signs warning of dogs on the farms. My advice is to have your walking sticks/staffs/trekking poles handy, and if you don't use any, grab yourself a nice, sturdy stick while you are in the woods at the beginning of your hike. Next is that because this is located in and around a village, expect to have locals around all year. 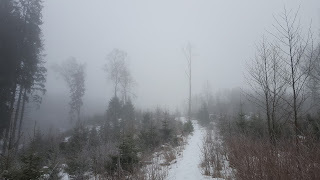 If you crave solitude you can go off trail, however. 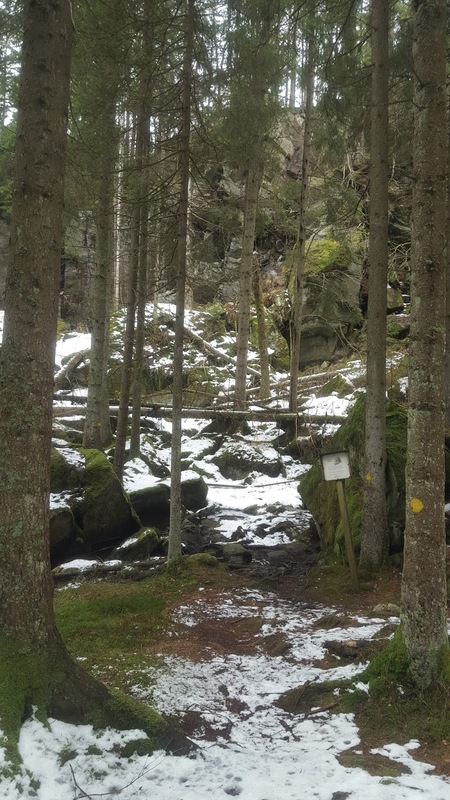 And finally for lows, while the trail is generally well marked, there are some boggy/wet patches of trail without any boardwalks or bridges. 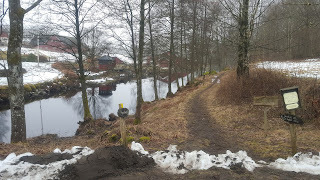 So you will probably get wet and muddy feet/legs. The highs, well, you will see for yourself soon in the pictures. 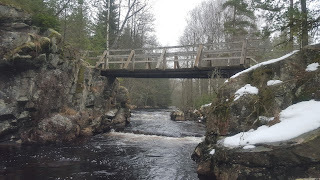 There are several lovely vistas and viewpoints right on the trail, as well as many scenic areas--included one of my favorite scenic moments in the woods: beautiful little bridges over babbling, gorgeous water. 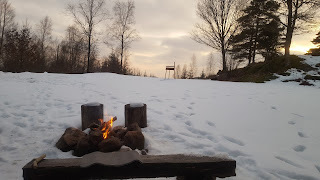 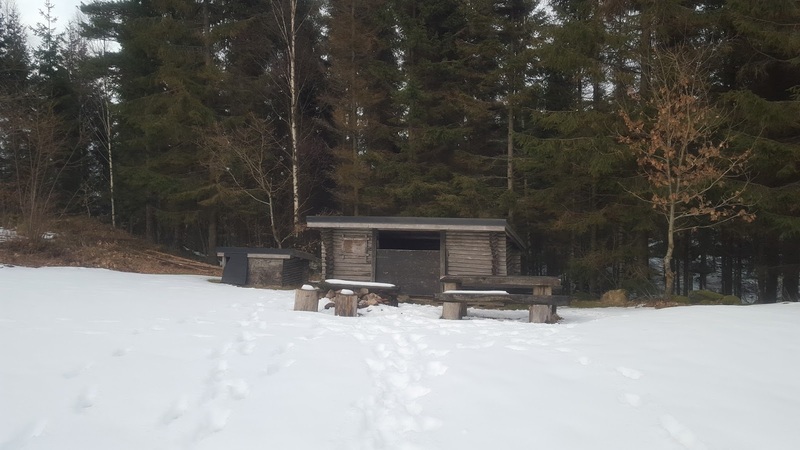 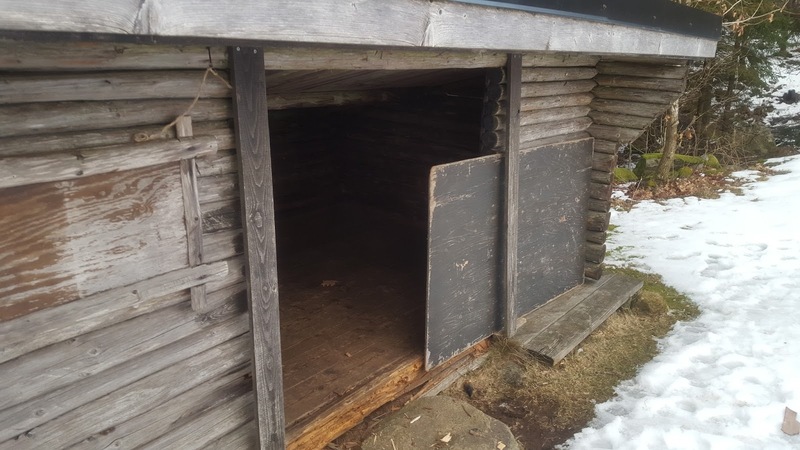 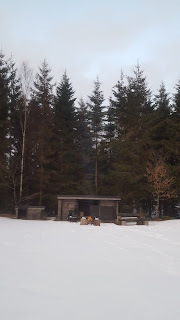 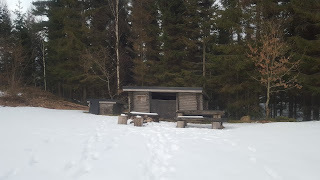 There is also a trail shelter (which is where I spent the night) that also has a fireplace and an outhouse, and plenty of nice spots to make camp along the way, so long as you get past the farms and roads. I would imagine this would be a great trail to hike in the summer, as there are several nice swimming opportunities along the way. And I definitely plan on coming back to hike the trail in warmer weather sometime in the future to take a swim or three. I also want to go back to check out the cave that is on the trail, which I couldn't find while I was in the area that it is at! 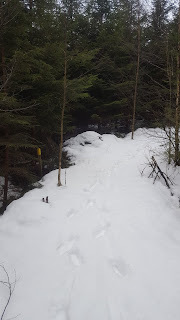 I think that snow may have covered up the entrance--there was still quite a lot of snow in many parts of the trail, as you will soon see--because I really couldn't find it after looking for about 15 minutes or so, and got frustrated and just kept on hiking. Apparently it is big enough to walk around in and explore, so for this alone I want to head back to check it out. Alright, that about does it for the text portion of my report. 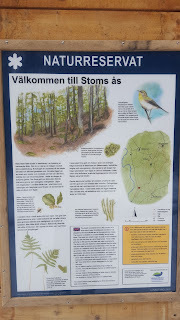 I'll do the pictures do the rest of the talking.